General Motors Company’s (GM) marketing mix helps enable the growth of the business in the automotive industry. A company’s marketing mix or 4Ps (Product, Place, Promotion and Price) specify the approaches and strategies that address the target market, based on the details of the marketing plan. General Motors’ case involves a multi-tiered approach that addresses differences in product lines and regional automobile markets. The company’s aim is to maximize sales and improve market presence. With a strong position in the market, General Motors serves as an example of marketing mix development that addresses opportunities in the automotive industry. However, strategic decision makers at GM must allow for flexibility in relevant strategies. For example, such flexibility should ensure the applicability of the marketing mix to the issues and challenges in the conditions of the global automobile market. This flexibility also supports the application of General Motors’ mission statement and vision statement in spite of changes in the target market. The automotive market has various opportunities for General Motors’ growth, such as opportunities for products that integrate advanced computing technologies. However, the company faces threats in its business environment. Managers can use the SWOT analysis of General Motors Company to determine appropriate adjustments in the marketing mix or 4Ps to deal with these threats and opportunities. For example, the strategic objective should emphasize support for GM’s continued growth and push for industry leadership, while allowing considerable flexibility to address market issues encountered in operations. General Motors is popularly known for its automobiles. 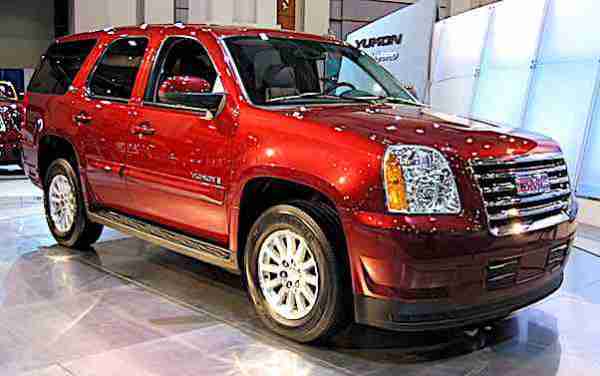 For example, the company offers GMC, Buick, Chevrolet, and Cadillac vehicles to target markets worldwide. However, the company also offers other products, such as parts for its various automobiles. The products under commercial vehicles are the ones that General Motors offers for commercial operations involving passengers. For instance, the company’s Chevrolet commercial vehicles include customized or specialized trucks and SUVs for business use. The first three product lines (automobiles, automobile parts, and commercial vehicles) are classified as automotive products. On the other hand, financial services compose the fourth product line. These services are offered under GM Financial, which operates as a subsidiary of General Motors. The company offers these financial services to benefit from loans and related transactions with target customers when they purchase automobiles. This aspect of General Motors’ marketing mix indicates a low degree of business diversification, although the company maximizes profits from its transactions by strategically combining automotive products and relevant financial services. General Motors has official websites for its various business operations. For example, the company has a site for Chevrolet, another site for GMC, and another for Buick. Cadillac also has its own official website. Through these websites, customers can access information about products and locate dealers. Dealerships are General Motors’ partners authorized to display GM products and transact with customers. At dealerships, customers sign contracts for the purchase of automobiles and contracts for auto loans from GM Financial. Moreover, General Motors engages in automotive shows and exhibits. These shows and exhibits, involving popular automotive-specific organizations and audiences, allow the company to extend its market reach and potential distribution. In this aspect of the marketing mix, the combination of online channels and physical places support market penetration efforts linked to General Motors’ generic strategy and intensive growth strategies. Advertising is the most significant tactic in General Motors’ promotional efforts. For example, the company advertises GM cars in a variety of media, including online media and traditional outlets like television and magazines. These advertisements allow GM to reach a large population of target customers in global, regional and domestic automobile markets. General Motors also uses direct marketing to address the specific needs of customers. For instance, direct selling supports the company’s aims of satisfying corporate customers through the sale of commercial vehicles. On the other hand, personal selling typically happens inside dealerships, where employees persuade customers to purchase automobiles from General Motors. Sales promotion is occasionally executed through discounts or freebies to attract customers to dealerships. In addition, public relations are applied in the form of sponsorships of charitable activities and events to promote GM brands and products and to help such events, thereby supporting General Motors’ corporate social responsibility strategy. This aspect of the marketing mix highlights advertising, although the other promotional tactics are also significant. General Motors’ objective in the market-oriented pricing strategy is to set competitive prices based on the prevailing prices of automobiles in the global market. For example, many GM automobiles are priced according to the price ranges of competitors. On the other hand, in the premium pricing strategy, General Motors sets relatively higher prices that correspond to premium branding. For instance, Cadillac automobiles are offered at higher prices. This high pricing supports a premium brand image for Cadillac, and helps maximize profit margins, especially when considering the company’s cost leadership strategy. Thus, this aspect of the marketing mix or 4Ps points to current market conditions and branding strategy as bases for pricing GM products. General Motors Company – Chevrolet Commercial Vehicles. General Motors Company – Corporate Sponsorship Guidelines. General Motors Company – Global Sites. General Motors Company – Our Brands. GM Financial – Auto Loan Financing & Leases. Liu, Y., Li, K.J., Chen, H., & Balachander, S. (2017). The Effects of a Product’s Aesthetic Design on Demand and Marketing Mix Effectiveness: The Role of Segment Prototypicality and Brand Consistency. Journal of Marketing, 81(1), 83-102.